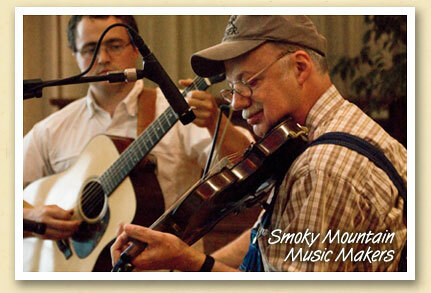 The Smokies are where mountain music was born and our homegrown music is very much alive today. On Saturday evenings throughout the Summer, you can hear area artists perform at the Bryson City train depot. On Thursday evenings, there’s music on the lawn at the Bryson City library. Also on Saturdays, there’s the Stecoah Valley Cultural Arts Center’s summer concert series, An Appalachian Evening. Above, Adam Masters (left) and Roger Howell perform at Stecoah’s 2008 Mountain Music Championship.